Michael Condrey, former COO of Visceral Games/Development Director on Dead Space and COO of Sledgehammer Games/Director on Call of Duty: Advanced Warfare and Call of Duty WWII, recently joined 2K Silicon Valley as the founder of this new studio owned by Take-Two. During last month’s Game Developers Conference, Condrey was among the guests of a developer panel hosted (and transcribed) by GamesBeat and focused on the evolution of multiplayer games. 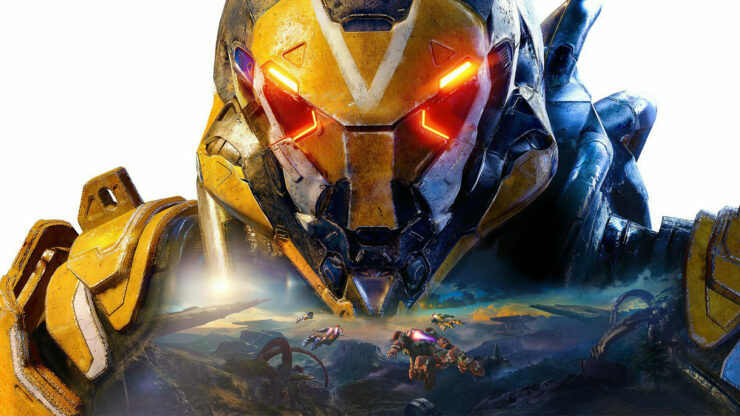 One of the questions posed to the panelists was whether Anthem, the ‘looter-shooter’ game released in February by BioWare, was ultimately hurt by having a public beta only just ahead of its full launch. Condrey replied that he believes it was a misstep, in all likelihood. I think of two different ways that betas inform the game. Some of it is qualitative. You’re looking to see how players react to the game design. Part of it is readiness. If you’re trying to figure out your readiness at scale in your beta, that’s a problem. Call of Duty had the luxury of time and big teams. We had built a lot of tools around the simulation of the experience. We had a bot farm that ran matches all the time, every day, constantly. We had tools that would input lag into our internal network to simulate what that would look like in the real world. Betas are important, but the challenge — I haven’t made a battle royale game yet. This was a six-on-six experience. Just having 12 people playing all the time is a limiting factor. In our private betas, we rolled out to 5,000. In public betas, we’d roll out to several hundred thousand. On day one you’d have millions of people showing up. The scalability of your game at launch is really hard to simulate prior to launch. That’s where a lot of things tip over. To the extent that you can build tools around what this is going to look like when it goes live — that’s what we learned along the way. We could never fully test what was going to happen in the live environment, but as much as you can do to simulate it before then — again, on Call of Duty we had our own problems too. But for Anthem, I feel like that was maybe a misstep. A follow-up question eventually led to comparing directly Anthem and Respawn’s Apex Legends, which launched just before BioWare’s game but got significantly better reception on all accounts. Condrey considered that the difference between the two was probably readiness for launch. It’s a curious case study you’re talking about around the two games that launched for EA. This is from an uninformed perspective, but one might project that the core difference between those games is strictly game readiness. One game is ready and one game is not. Everything downstream, what it takes to have an online community, doesn’t really matter, because the game’s just not ready. Indeed, it would have been wiser for the long run to launch a lengthy beta in February and wait six months or so before actually releasing Anthem. Alas, publisher Electronic Arts probably pushed to get it out before the end of the quarter. In related Anthem news, BioWare revealed the date of the next official livestream. It will take place on April 17th, with the new stronghold set to be the centerpiece for the showcase.